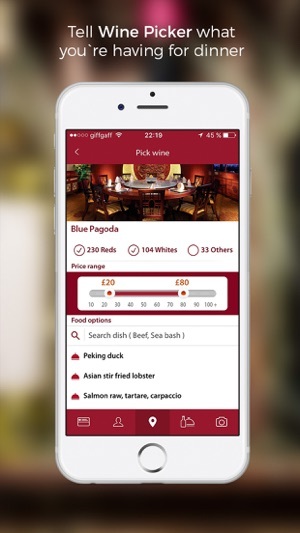 Wine Picker is the answer to a simple question: How do you pick wine in a restaurant? 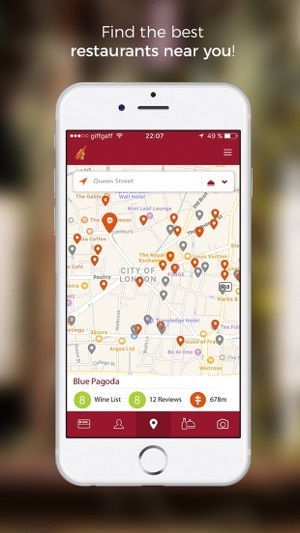 Download the app and revolutionize the dining experience with Wine Picker, an app that suggests the best wines at any given restaurant at an instant. 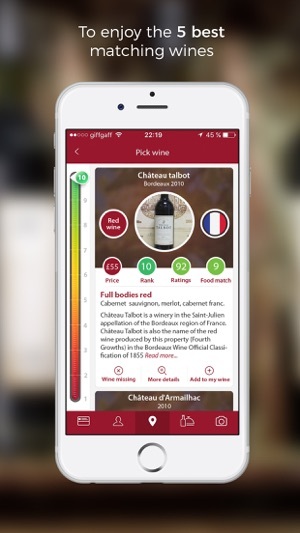 Wine Picker allows users who are dining out to select their preferred wine color, set their wine bottle budget, and the app will recommend the five optimal choices from the restaurant’s wine list. 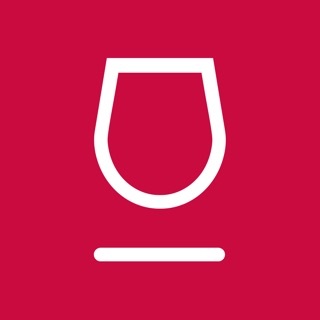 The app also assists with food pairings and features profiles where users can share personal tasting notes. So don’t wait and try Wine Picker a complete solution that will put the best-value wines in the UK and US just a few swipes away. • Food and Wine Matching: Match perfect wine with your favorite cuisine. 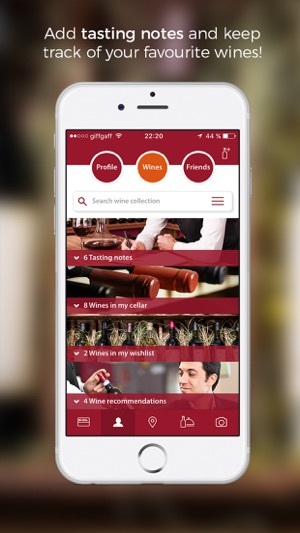 • Wine Cellar Management: Links your wine bottles with all your tasting notes. • Wine Tasting Notes: Keep track of delicious wines for future reference. • Public and Private Groups: reach a wider audience and share your views. 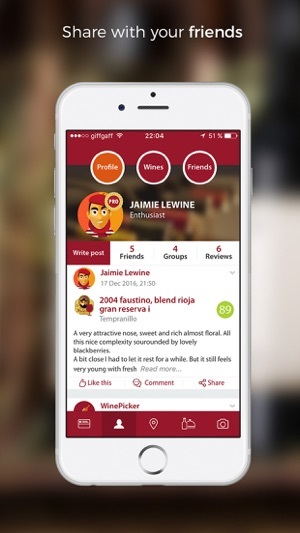 • Share with Friends: Let your friends know your preferences and new wine discoveries. • Reverse search: You like a wine we find which restaurants serve it. Wine picker score calculation change. Found it very useful when eating out, easy to use, and the wine suggestions were also excellent, really worth trying. 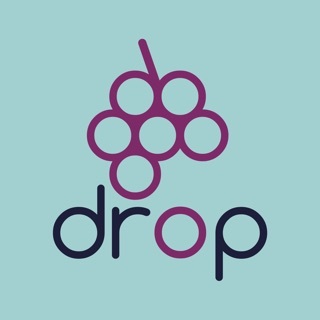 Love wine app and this one look so different to get every single penny worth it!!! Usefull and easy to use. Perfect to have fun with your friends at the restaurant.